Why are they wearing fancy dresses? 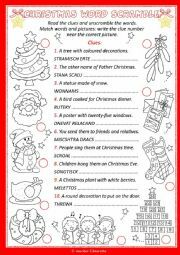 This is an easy and funny worksheet about Carnival. The tasks: number the pictures and answer the questions using the names of some masks. 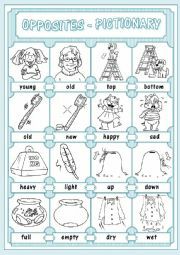 Hope you can use it with your pupils! (KEY included) Have a nice weekend! 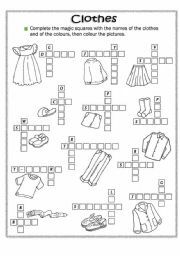 I just finished to prepare this worksheet with three activities: search the words, complete the message, read and tick the right option. 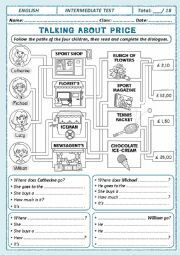 See also: http://www.eslprintables.com/printable.asp?id=843778#thetop I hope you use it with your pupils. 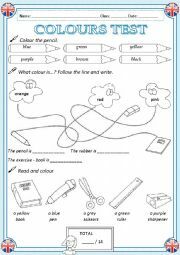 Easy colours test for little ones. Hope you can use it! I hope you find it useful! Good Tuesday to everyone! 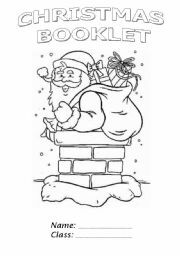 A booklet for Christmas time that I prepared for my students, with different activities and songs. I divided into four parts the original file, because too great... sorry for the quality of the pictures... I had to resize the images because too heavy. I hope there is useful! 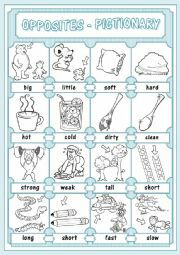 Children read the clues and unscramble the words, then match words and pictures and finally they write the clue number near the correct picture.I hope you find it useful. 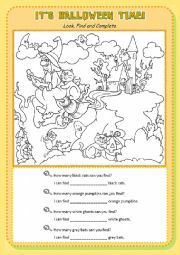 Find and complete... an easy ws for Halloween.